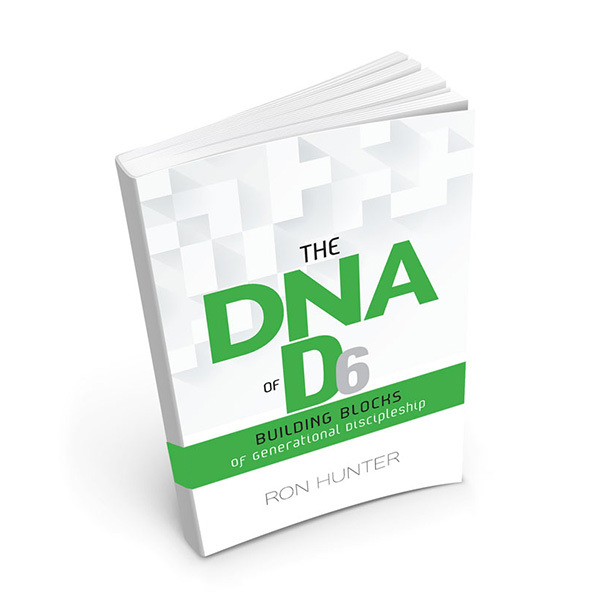 A few weeks ago, I (Pat) posted a review of The DNA of D6 by Ron Hunter. I tagged Ron Hunter on Twitter, but I didn’t think he’d see it… let alone respond. Imagine my surprise (… and shock … and fear) when he contacted us about wanting to follow up. So, after a little confusion on my part (overthinking timezones), there I was on the phone with THE Ron Hunter. I felt a little (and by that I mean A LOT) intimidated. I felt like I was in the principal’s office … not that I know what that feels like. So, what did I do? I started apologizing for my perceived misrepresentation of the book. As we continued to talk, the more relaxed he made me feel and the more I began to see the heart and passion that was behind this man and his ministry. We talked about my review, and I quickly came to the understanding that I read a lot of my preconceived notions into the book and thus missed its message. Without really realizing it, I was looking for a reason to not like it. As I read the title I was looking for something the book couldn’t provide. I was looking for surface level answers that I could implement right away to make my ministry better. What the book actually offered was high-level principles through questions that would lead the reader to what it would like in their specific context. On my first read through, I read the questions at the end of each chapter without actually answering them and allowing that information to lead me into the next chapter. Ron and I talked through several of the chapters, and I asked a lot of questions. I took a lot of notes as he patiently answered my questions (and by “answered my questions” I mean ministered to my small town, small church soul). By the end of the conversation, I was reminded about the reason I continue to return to the D6 conference … I still have a lot to learn. My biggest takeaway from our half hour conversation? Help parents have regular conversations with their kids. Sounds funny, right? Almost too simple. Hunter broke it down very simply for me by stating that it is through regular conversations that we are building deeper relationships with our kids. As the relationship deepens so will the conversations. He warned me, and all parents, that if the only deep conversations parents have with their kids is during correction and discipline, they probably won’t be open and honest when facing tough decisions. Re-read the book. Not moving on to the next chapter until I’ve dealt with the current chapter’s information. Be more careful with the reviews I write, making sure I can capture the essence of what the author is actually trying to communicate, rather than my preconceived notion. Continue to be open, teachable, and willing to be corrected. Mr. Hunter, thank you for your time and your gentle correction. Thanks for your passion for the next generation and discipleship across the generations. This blog was republished with permission. To read more from Pat, visit HERE.